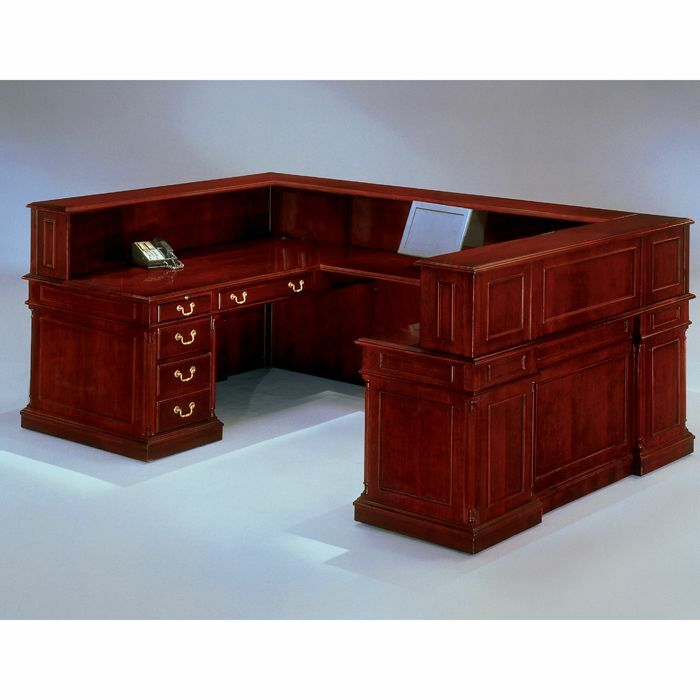 Keswick English Cherry Reception Station - U-Shape Desk.Pull-out writing board, box drawer with finished wood pencil tray / locking box with dividers / locking file drawer per pedestal. Center drawer with a finished wood pencil tray on single pedestal desk. Drop-front / pull-out keyboard tray on the credenza. 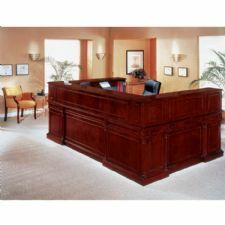 Wire management access through center drawer on the credenza. This limited warranty applies only when you have purchased the furniture for your own use and not for resale prior to use. Your furniture requiressome routine maintenance. Keep it clean, dusted and polished as necessary. Proper care and use are essential to preserving the rights under thislimited warranty. 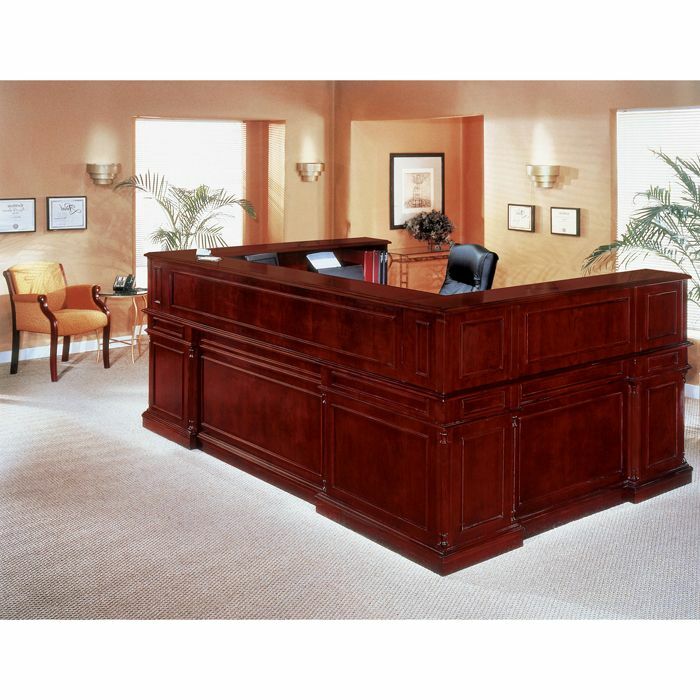 We will not repair or replace your furniture if damage is caused by improper maintenance or by improper use. This limited warranty does not cover damage resulting from abuse, normal wear and tear, accidents including burns, cuts, scratches, scuffs, watermarksor indentations. Consequential or incidental damages are not covered under this limited warranty. By this we mean any loss, expense or damage other than to the furniture itself that may result from a defect in the furniture. Please note: some states do not allow the exclusion or limitation of incidental or consequential damages, so the above limitation or exclusion may not apply to you.